The damage caused by intense waves on Wednesday could have been due to an approaching tropical wave, unrelated to category 4 Hurricane Matthew, which was more than 1,000 miles away at the time. 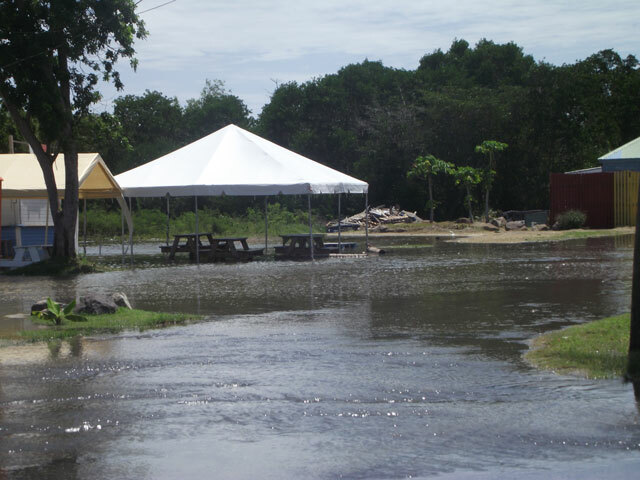 According to Jack Ngumbah, Disaster Management communications officer, massive water puddling caused by the tropical wave may be expensive to fix later. 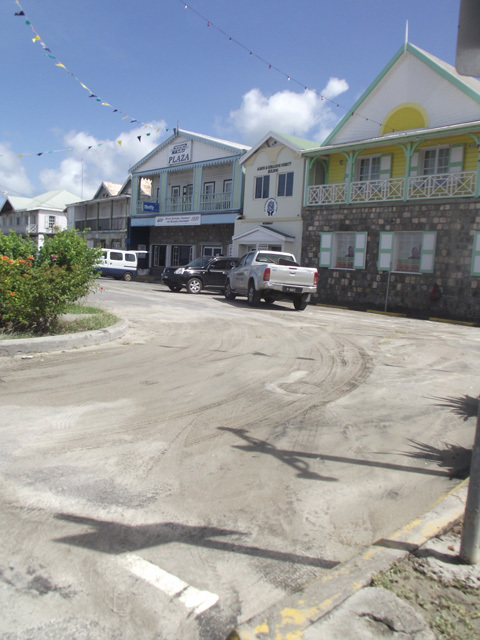 On Thursday, The Observer contacted Ngumbah, who said he visited the Pinney’s area the day before. He said there was no rain, no dark clouds or high winds on Wednesday. He noted the land is not slanted to the sea, which made it easy for the water to come onto the land and puddle. He said the soil does not absorb water very well, which also allowed water to settle. 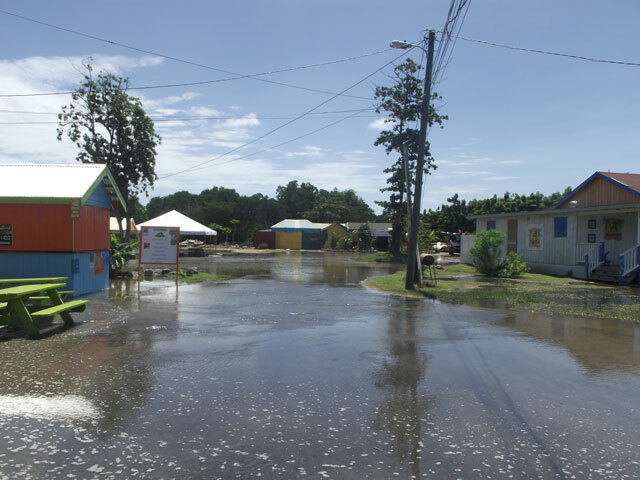 Ngumbah explained that if measures are not taken to grade the land area, another situation like Wednesday, or even rain may worsen the flooding the next time. 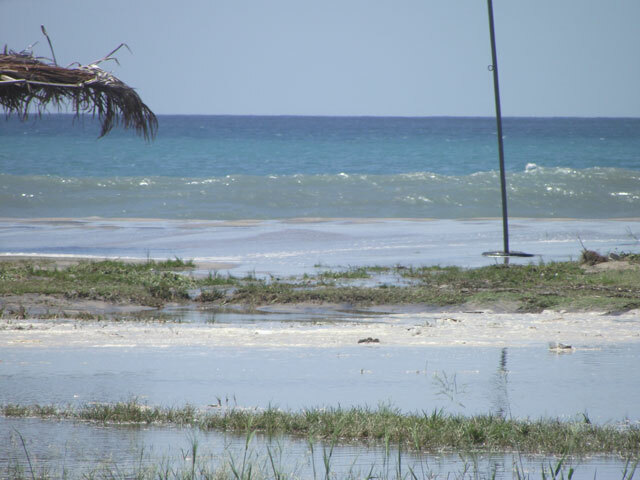 Ngumbah pointed out that settled water could eventually become a mosquito breeding ground. He confirmed that it is possible for mosquitoes to reproduce in salty water. Ngumbah suggested gravel stone can be added in the flood area to elevate the land and prevent such occurrences. 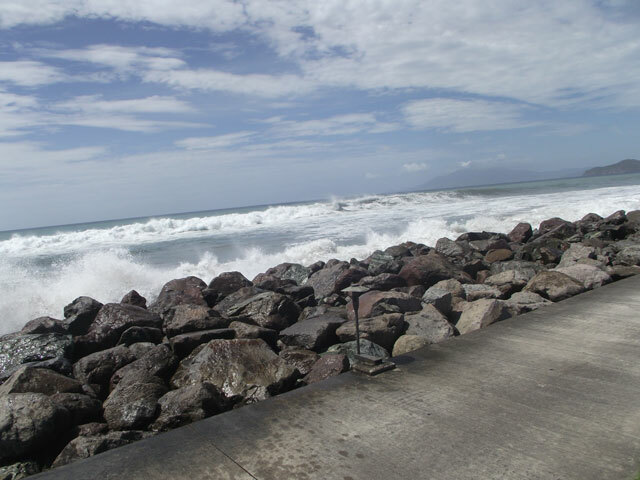 High waves flooded the coastal area on the western side of the island. 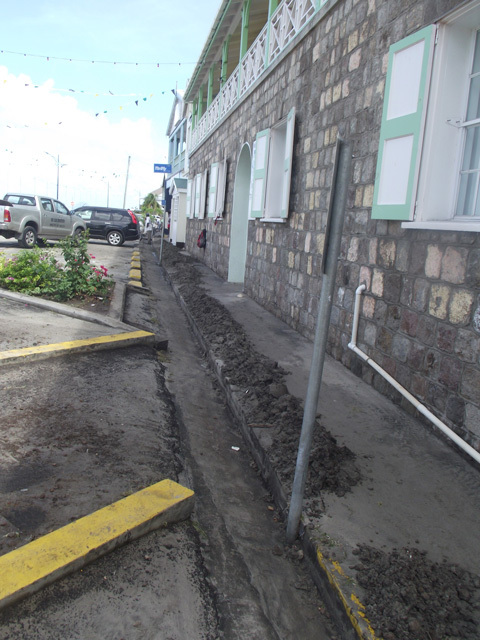 Pinneys Beach, the home of a number of beach restaurants and the Four Season’s beach- front received high waves and water damage. 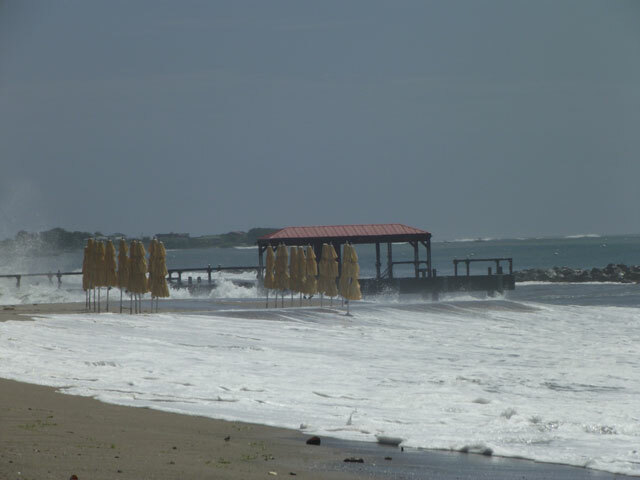 Parts of the Four Season’s pier were damaged. Samuel Hunkins Drive was also damaged. 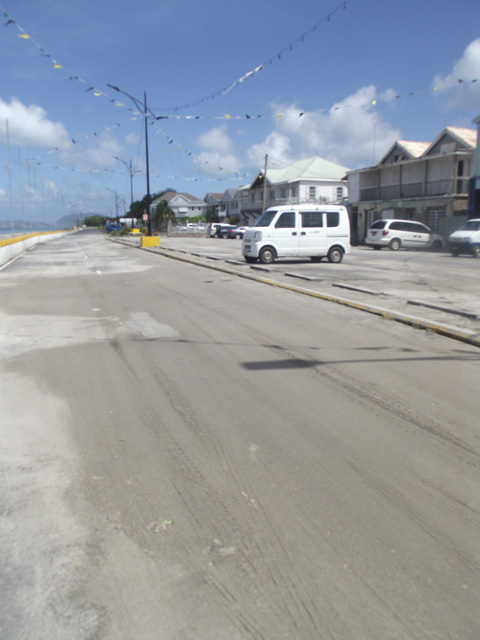 Junior Minister with responsibilities in road infrastructure Troy Liburd noted the damage, but told The Observer the cost to repair the area has not yet been calculated. 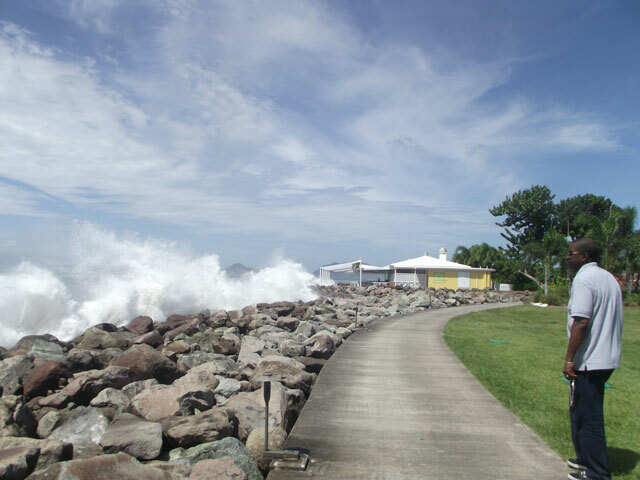 Ngumbah urged citizens to stay far away from the water during high wave activity.